Fright Chasers: Director's Cut is rated 3.6 out of 5 by 7. Rated 5 out of 5 by kimberlystat from Great Game Something different from the usual. Rated 5 out of 5 by 2020moonlanding from A Fun Fright This is the 3rd one in the series(I think) and it is by far the best one yet. Once you arrive at an old abandoned movie theatre to investigate a disappearance you are quickly sucked into old horror movie classics to find clues to solve the mysteries. I really found this story fascinating and well thought out. It was delightfully difficult to tear myself away from it. The cutscenes of the ghosts are excellent and settings can be customized. If you're able try the collector's edition as it is worth the extra cost with a fun bonus chapter. There's a morph and a collectible to find in each scene, a strategy guide, and the length is satisfyingly long. One of the best games this year thus far for sure. Rated 4 out of 5 by timothya from Starts Slow, Nice Plot Twist A nice bit of writing on this one. We begin through a fairly conventional save-the-boyfriend scenario, which we do, and then we enter the real game just about the time we suspect it's over and that we've been subjected to another short cheat. But no, the real game involves redeeming an actress from her own roles on behalf of her lover who has placed her there in an infinite time loop, episodic plot elements somewhat reminiscent of the Redemption Cemetery series. Pros: Lots to like, graphics, music, and a generous supply of puzzles. Good amount of game play for the buck, and a rather sweet ending. Cons: Voice acting is often unconvincing. 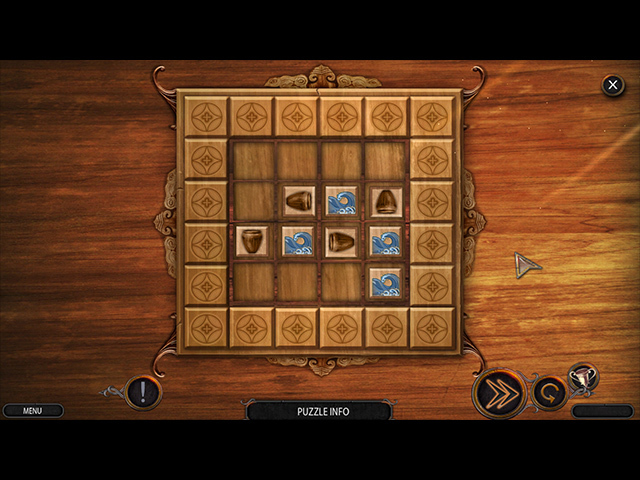 Certain of the puzzles suffer from a lack of direction that leaves the player wondering what in the world the Help text meant. 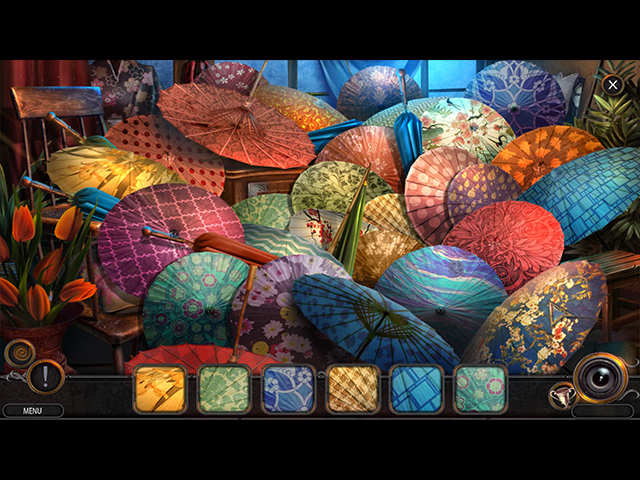 And one tiny one: the bonus object in the scenes is not the traditional Mad Head swirl. Give me my swirl! Overall, a very enjoyable game that finishes much stronger than it begins. I'd play it again, in fact, I probably will. 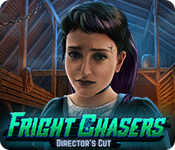 Rated 4 out of 5 by eric72 from good game i did not expected much with this new Fright Chasers release , but i was happily surprised to see there was more creativity than in the first two in this series, and it was generally fun to play. Good storyline , well thought out and often well executed with tasty moments, for example a character that turns in loop in one movie , that was funny to see. At times you get smart use of inventory objects , also some good HO scenes. As for the mini-games they are of the easy kind. I particularly enjoyed the first two chapters set in the movie theatre and in in the first movie (a haunted manor). The two following chapters in a Far-Western and Japanese settings have a more conventionnal gameplay and then we are back again with more originality with the final chapter. All in all a satisfying game , i was glad to see some creativity back in a Madhead game. Rated 2 out of 5 by ipprocessdoc from Not for me Another reviewer said that this game starts out slowly but I didn't think a game could actually start this slow. Wow! The game is VERY easy, very slow, and very predictable. And why do all of the characters have to sway? Do you sway when you talk? Geez, let them stand still! Play the demo and see for yourself. I'm glad I did and saved myself some money. Rated 2 out of 5 by roaming from Oh, no! Not another gadget! Yes, another gadget, and this time it's a flashlight to shine the ghosts away. Yawn. I have to agree with penmom36, this plot is neither cutting-edge nor original. 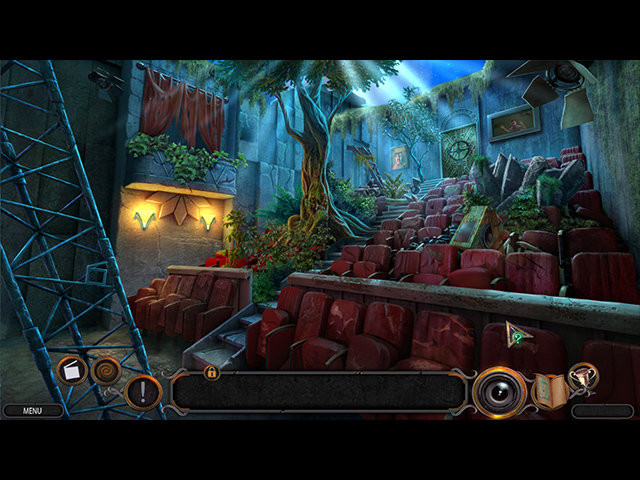 Neither are the puzzles and hidden object scenes. I found everything about this game to be one big bore. If it gets more interesting after the demo, I'll never know. It's a no-buy for me.